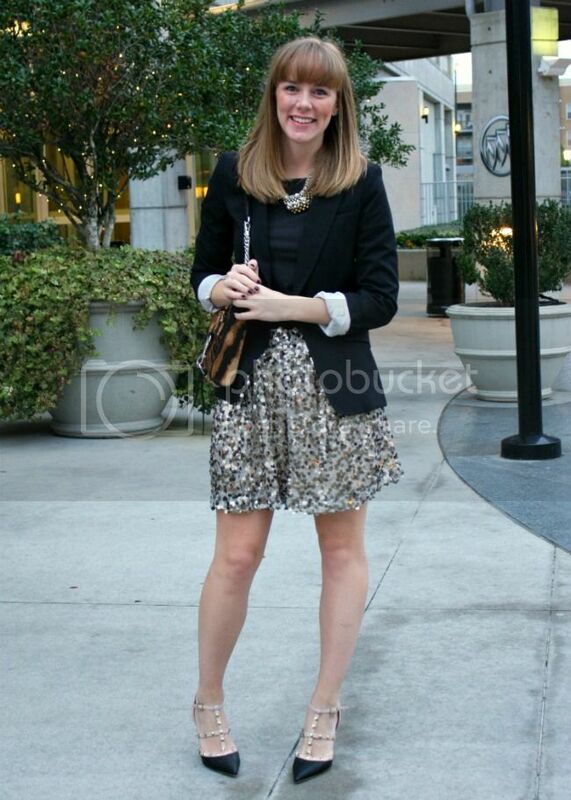 I wore this last weekend in Atlanta with Jessica for the Buick Pinboard to Dashboard event. We went to dinner at the Empire State South where Top Chef Judge Hugh Acheson cooked us up some amazing southern food. 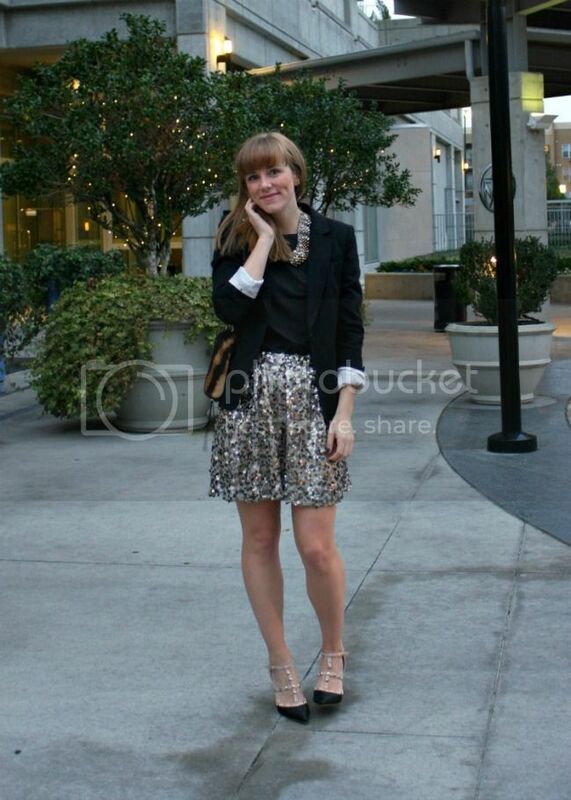 It was the first chance I'd had to wear my sequin skirt and I must say I'm obsessed! Are you wearing any sequins this season? 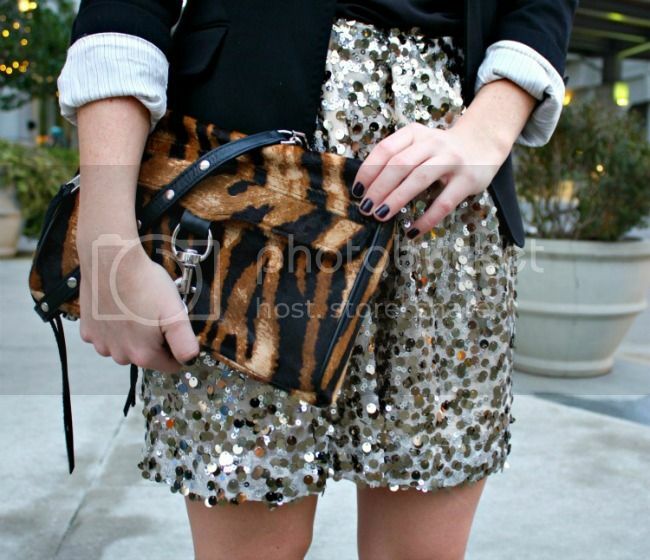 If so make sure you upload a pic to Twitter/Instagram with the tag #SequinSeason to get involved in the holiday cheer! Also, Jessica is putting up her favorite pictures on her Facebook page! Thank you Jessica for being my photog! Love this look! The skirt and necklace compliment each other perfectly, and those studded shoes are amazing! Thanks lady!! I didn't realize just how matchy-matchy the skirt and shoes would be! Great outfit! Especially love the shoes and skirt! Twinsies lady!! How great is this skirt hey? I LOVE the way you styled it! Great day to night look and your shoes are to die for!! I LOVE this skirt!! Joe Fresh for the win! !